This transition is impacting both the volume and characteristics of data center workloads. There is a growing need to deliver high quality video and complex 3D applications taster and at lower total cost. 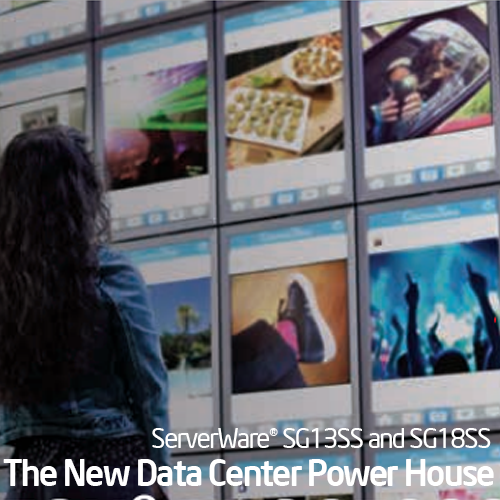 Enter the ServerWare® SG13SS and SG18SS Server System build with Intel® Xeon® processor E3-1200 v4 product family. With up to 1.8x the overall graphics performance of the previous-generation, these processors can deliver high-quality visual experiences with up to 1.4x more video trans-coding performance per node and up to 4,300 simultaneous HD video streams per rack, and with a TDP savings of 56% on the processors alone than the previous generation Intel® Xeon® processor E3-1200 v3 product family. The tight integration of compute and graphics in the same processor increases performance and density, while reducing power consumption and data movement. The result is another leap forward in graphics capability that can help you deliver better user experiences at lower cost for graphic-intensive workloads. Media service providers require transcode solutions with cost-efficient, dense designs and optimized performanoe to support real-time, multi-stream delivery of HD video. A data center graphics server SG13SS and SG18SS based on the Intel Xeon processor E3-1200 v4 product family do just that. These servers can support up to 1.4x more transcodes per processor than the previous generation Intel Xeon processor E3-I200 v3 family. You can deliver high-quality content on demand—as well as live broad casting and video-conterencing to more users with a smaller data center footprint and lower power consumption. For developers of video transcoding software, Intel Media Server Studio gives you state-of-the-art encoding features for tailoring image ou ality versus performance, and for simplifying media application development. This comprehensive suite of development tools supports both Linux and Windows. It also provides access to the Intel Iris Pro graphics and Intel Quick Sync Video media accelerators for high-speed media transcode. Design and manufacturing companies need simpler and more With the Intel Xeon prooessor E3-1200 v4 family, you can secure ways to share complex 3D application data across global provide workstation-class visual experiences cost effectively design, sales, and service teams. Remote workstations provide ho hundreds or even thousands of users. Intel Graphics a solution: Keep your critical design data in a centralized data Virtualization Technologies [GVT] allow you to dedicate the center and deliver rich, responsive, 3D applications, such as CAD resources of each prooessor to a single designer or engineer, design applications, over local and wide-area networks to any or share them among hundreds of less demanding users. Performance optimized for graphics intensive workloads. Integrated graphics acceleration Intel® Iris Pro Graphics P6300 and integrated eDRAM memory. – Takes advantage of power and thermal headroom to accelerate processor and graphics performance during peak loads. 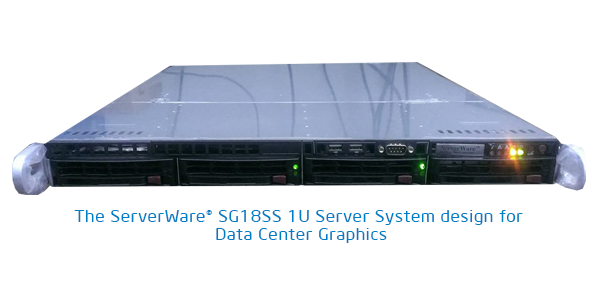 For more information about ServerWare® Data Center Graphic Servers Please contact us as below address.